House of Delegates Archives - Read. Think. Act. 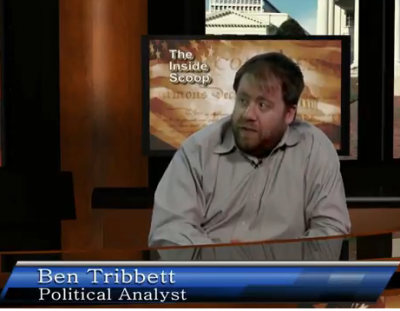 (Jan 15, 2018) Catherine Read talks with political analyst Benjamin Tribbett about the 2017 House of Delegates races here in Virginia. There were a number of contested races with close recounts in several districts, with the control of the House coming down to race in which a tie was declared and the winner’s name drawn from a bowl.There were a number of contested races with close recounts in several districts, with the control of the House coming down to race in which a tie was declared and the winner’s name drawn from a bowl. The 15 additional Democratic Delegates in the House means the Republicans control the vote in both chambers by a majority of one. The 15 new Democratic Delegates (11 of them women) came from districts across the Commonwealth of Virginia. The Virginia House is seating the most women ever this year: 28, compared to 17 last year. Roughly half of the Democratic caucus is female. In Hampton Roads, Kelly Fowler (HD 21) and Cheryl Turpin (HD 85) also won against incumbents. Shelly Simonds (HD 95) ended up in a tie with incumbent David Yancey, whose name was drawn from a bowl to retain his seat. In Richmond, Dawn Adams (HD 68), Schuyler VanValkenburg (HD 72) and Debra Rodman (HD 73) prevailed in their races. Danica Roem (HD 13) unseated longtime incumbent Bob Marshall in one of the most watched races in the nation. Danica is the first transgender woman elected to a state legislature prevailing over a notoriously homophobic candidate in what can only be described as a beautiful example of karma. Lee Carter (HD 50) unseated incumbent Jackson Miller. Hala Ayala (HD 51) won against incumbent Rich Anderson. Elizabeth Guzman (HD 31) prevailed against 8 term incumbent Scott Lingamfelter. Guzmán and Ayala made history in Virginia as the first Hispanic women elected to the state’s House of Delegates. Jennifer Carroll Foy (HD 2) a VMI graduate and new mom of twins won an open seat vacated by Delegate Mark Dudenhefer. In Fairfax County, Kathy Tran (HD 42), Virginia’s first Vietnamese-American Delegate who welcomed her fourth child Elise just before the primary, won an open seat formerly held by Dave Albo. Karrie Delaney (HD 67) unseated incumbent four term incumbent Jim LeMunyon. In Loudoun County, David Reid (HD 32) took the seat held by Tag Greason and Wendy Gooditis (HD 10) unseated incumbent Randy Minchew. Ben also explores how power sharing might have been negotiated differently prior to knowing the outcome of the Simonds-Yancey name drawing. There was a long term power sharing arrangement in the Senate from 1997 to 2003. The window of opportunity has now closed to make that type of negotiation. He goes on talk about the creation of “Districts of Influence” and the percentages of deviations when re-drawing district lines after each U.S. Census. The GOP tends to split more voting blocks and the result in Virginia is 224 split precincts, with some of them split three ways. There is a possibility that pending court cases could find that district lines in Virginia need to be redrawn prior to 2021 which could result in special elections in the affected districts. The 2019 elections will be a challenge for the Democrats in holding on to some of these newly won seats. Ben talks about how this is an off-off-off year election with no “top of ticket” candidate like Governor or President. Every seat in the House (100) and in the Senate (40) will be in play. In addition, County Board of Supervisor seats and School Board seats will also be on the ballot. Because of how these districts are overlaid, the ballot might have an incumbent Republican Senator, a first term Democratic Delegate and a Board of Supervisor candidate of either party. How the voters will make their voting decisions giving weight to incumbency and party remains to be seen. There is a strong possibility that some of the gains in the House may not be sustainable in 2019, while it is also possible Democrats will pick up the two Senate seats they need to take majority in the Senate. 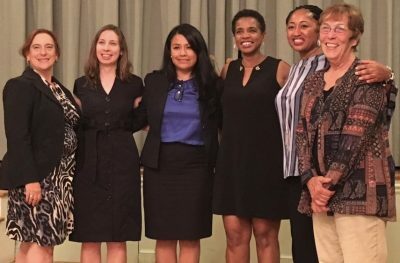 (Oct 23, 2017) Catherine Read talks with several women in the Network NoVA organization about how they found each other, how they came together around shared goals, the momentum behind the June 2017 Women’s Summit, and what they are doing in the final days of Virginia’s 2017 election cycle to get more progressive minded candidates elected to office. In the first segment, Stair Calhoun and Katherine White discuss how they began to organize for the Women’s March shortly after the presidential election of 2016. They knew each other previously and worked together to organize transportation (including water taxis) for women in Northern Virginia who wanted to attend the march. They organized volunteers into teams and created opportunities for women to make pins and buttons for the march as well as selling 1,500 beanies and march t-shirts. It was a collaborative effort from the beginning. Meetings in basements and restaurants, attending Huddle meetings, hosting their own meet-ups and building a network of other women willing to do the same. It has been a learning process for many women who have never engaged in political activism and are focused for the first time on the importance of statewide elections. It was also about shared trust and risk-taking to make things happen. Barbara Jones and Holly Hazard joined the effort to move the momentum of the Women’s March forward into a grassroots effort around Virginia’s 2017 elections. Virginia is one of only two states with an off-year Governor’s race, and we are also electing a Lt. Governor, Attorney General and 100 members of the House of Delegates. 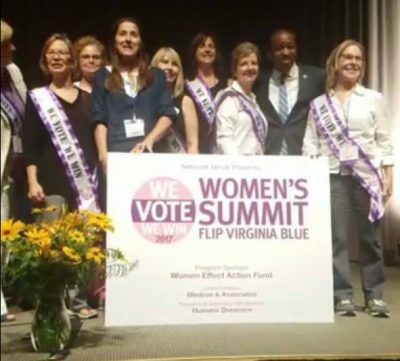 Once the idea of hosting the Women’s Summit, Flip Virginia Blue conference was born, eight women put together the event in just 70 days. Held at the National Conference Center in Leesburg, it attracted numerous supporting organizations as sponsors, brought in 344 attendees and 30 candidates running for the House of Delegates from all over the Commonwealth of Virginia. Each candidate got to speak for a few minutes and each one was impressive in the stories they had to tell about why they were running for office. The idea of the initiative for The Blue Migration came out of that event as Network NoVA turned their attention to how to support candidates in rural areas with the manpower and resources available in Northern Virginia. Robbin Warner talks about the concept of Postcards4VA that took off and spawned dozens of postcard parties at kitchen tables throughout the area. People hosted their own postcard parties which involved printing out the cards for specific candidates and then hand addressing them and writing personal messages on them. It was a massive effort resulting in over 136,000 postcards being printed, hand addressed and mailed with a stamp – all provided by individual volunteers. Efforts like this involved even the youngest of family members and resulted in a statewide civics lesson to many people who have not gotten involved in statewide elections before this year. From the beginning, Network NoVA was about collaboration with existing organizations, using social media to meet people where they were already congregating and showing up to events with buttons and flyers to promote the Network NoVA events. Some events were fundraisers, many others were canvassing initiatives to door knock and phone bank for individual candidates and for the Democratic ticket. Ideas were welcomed from every source and resource and many were a triumph of will and ingenuity over any previous experience or know how. The white board video Why Virginia Matters 2017 is an effort to explain in the simplest terms possible why voters need to care about the elections taking place on Nov. 7, 2017. (Aug 30, 2017) Catherine Read interviews Julie Jakopic, Chair of Virginia’s List, a political action committee (PAC) whose mission is to support progressive pro-choice women candidates running for office in the Commonwealth of Virginia. The organization was originally formed in 2015 as Women Leaders of Virginia. During that election cycle, women candidates running for the House of Delegates received financial support for their general election campaigns in the very first year of the organization’s fundraising efforts. In early 2017, the organization rebranded as Virginia’s List. They followed the branding model of other very successful organizations such as EMILY’s List, Annie’s List of Texas and Lillian’s List of North Carolina. They also committed to helping women fund primary races when they are running against one or more men in their own party. This is very much the core mission of EMILY’s List which is actually an acronym for Early Money Is Like Yeast (EMILY). The women who serve on the Virginia’s List Board (which includes host Catherine Read) are from various parts of Virginia and many have been candidates themselves. One of the founders of Virginia’s List, Amy Laufer of Charlottesville, is currently a Charlottesville City School Board Member and also a candidate for Charlottesville City Council. 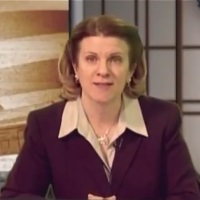 In 2015, Julie Jakopic was a candidate in a five candidate Democratic primary for the 45th District House seat. Running in a field that included herself and four men, she came in third with 23.3 percent of the vote. Understanding that women were being defeated at the primary stage, Virginia’s List doubled down on funding the primary campaigns of many of the Democratic women running for office in 2017. There is an unprecedented 43 Democratic women running for a seat in the 100 person Virginia House of Delegates. Many were in primary contests and some of those races included more than one woman running for the nomination. There is a process Virginia’s List has created for vetting candidates for endorsement and funding that includes a Candidate Questionnaire (CQ) and a number of other factors including their fundraising, doors knocked and the voting history of the districts in which they are running. The public has access to some of this candidate information through the Virginia Public Access Project (VPAP.org) which posts information about money raised and voting history of the district. 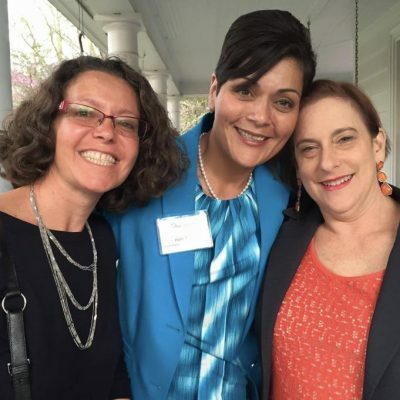 Virginia’s List works collaboratively with a number of other organizations including Emerge Virginia, which recruits and trains progressive women candidates interested in running for office. Each of these organizations is a crucial part of fielding successful women candidates. Virginia has a low percentage of women in our legislature, less than 20%, and we’ve never had a woman Governor, Lt. Governor or U.S. Senator. Only one woman has ever served in a statewide office, Mary Sue Terry, who was Attorney General for two terms from 1985 to 1993 and who co-founded one of the earliest women’s political candidate organizations in Virginia, The Farm Team. Women bring a different lived experience and perspective to many of the issues being addressed through public policy making – paid leave, child care regulation, campus sexual assault, violence against women, disability benefits, payday lending, public assistance for children and families, medicaid expansion, education policy – and much more. Men continue to predominate in every branch of government in the Commonwealth of Virginia and Virginia’s List is committed to putting more women into elected office who are representative of the people who actually live in our communities. Find more information at www.VirginiasList.com or on Facebook and @VAListWomen on Twitter. 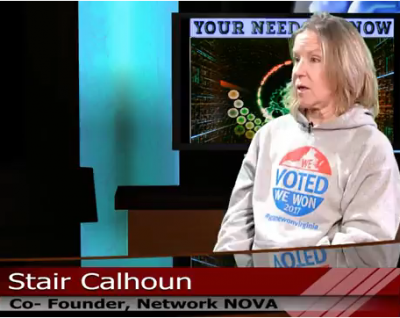 (Feb. 13) Catherine Read talks with Olga Hernandez of the League of Women Voters in Fairfax, VA. Olga was previously president of the League of Women Voters of Virginia and has been deeply involved in the fight for non-partisan redistricting for decades. The LWV is currently working in collaboration with the non-profit OneVirginia2021 to educate the voting public about the issue of “gerrymandering” – the process by which the legislature draws district lines to pack voters into districts that ensure incumbents keep their seats year after year. The drawing of district lines happens every 10 years following the U.S. Census, which provides the population data that is the primary criteria for creating the districts. The next redrawing in Virginia will be in the year 2021 – which will coincide with a Governor’s race and the re-election of all 100 House of Delegate seats. In 2015, the last election where all 100 House of Delegates seats were up for re-election, $45 million dollars was spent in Virginia and nothing changed. Every single incumbent was re-elected to office and many seats went uncontested all together. Brian Cannon, Executive Director of OneVirginia2021, is leading the fight to bring attention to the issue. 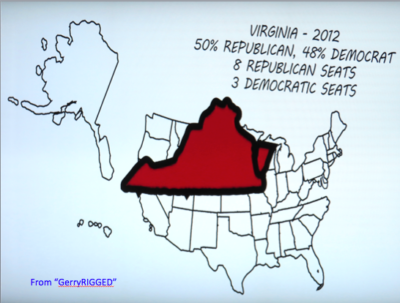 A recently released documentary entitled “GerryRIGGED” is being shown around the Commonwealth of Virginia. Olga Hernandez has organized three showings on Thursday, Feb. 23rd – one at the Greenspring Retirement Community in Springfield, and two sold out showings at Cinema Arts in Fairfax City. The documentary is available on DVD and organizations around the state have an opportunity to bring this issue to the public. The documentary “GerryRIGGED” interviews legislators and elected officials from both political parties. Democrats and Republicans have both contributed to this untenable state of affairs in Virginia and the practice goes all the way back to Patrick Henry who promoted redrawing a district line in order to block the political ascension of James Madison. Delegate Ken Plum has introduced legislation in the House of Delegates every year since 1982 (when Democrats controlled the House) and every year such bills have been defeated. In recent years, bills on non-partisan redistricting have been passed out of the Senate only to be killed in subcommittee hearings in the House. 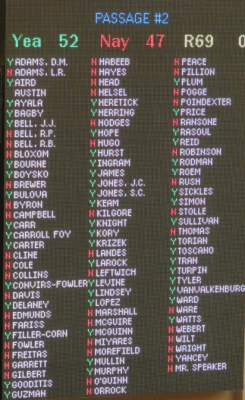 Three bills passed out of the Senate this month sponsored by Senators in both parties, including SJ 290 sponsored by Senator Janet Howell (D) and Senator Jill Vogel (R). Those bills were killed by a vote of 5-2 at an Election subcommittee hearing held at 7 am on Feb. 14th, despite the testimony of the sponsoring Senators. Senator Jill Vogel made her case at a press conference the day before, but to no avail. Non-Partisan redistricting is a goal we must strive to reach if Virginians want better government. The hyper-partisanship and political gridlock threatens our ability to create good public policy. It’s not the biggest problem we need to solve, but it’s the first problem we need to solve in order to solve all the other ones. The League of Women Voters continues to work on the issue of bringing non-partisan redistricting to Virginia. Organizations across the Commonwealth are reaching out to OneVirginia2021 to help educate voters about the impact of gerrymandering on good government. For more information or to obtain the documentary GerryRIGGED email [email protected] and follow them on Twitter at @1VA2021.